Emotional Infidelity: A Love Affair or Just Friends? These connections made in cases of emotional infidelity often arise at work or in a social context in which working intensively toward a common goal consumes energy. 1. This person often struggles knowing where to draw the line. S/he often throws him/herself into something 100%. Other aspects of his/her life may suffer or be ignored. There often is a lack of personal balance between family, work, self care. 2. He/she struggles with intimacy. (I want to be close to someone, but don’t like intimacy.) The “just friends” emotional affair means neither spouse nor OP (other person) ever get “intimate.” Neither relationship is fully consummated or has potential for growth. The lover or “falling in love” emotional infidelity has a different twist. 1. This person usually has a need for drama and excitement. Life easily becomes a soap opera. Emotional juice from the fall-out of emotionally intense relationships reigns rather than living life from the core of who one is. 2. The person “looking for love” is actually looking for the ideal, someone out there, who will project back to him/her that he/she is OK. No, more than OK, close to perfect. 3. This person needs to be adored, or think another adores him/her, because there is a lack of inner strength and solid identity. The other becomes my world, because I lack a world. Being “in love” is the panacea for my emptiness. 4. 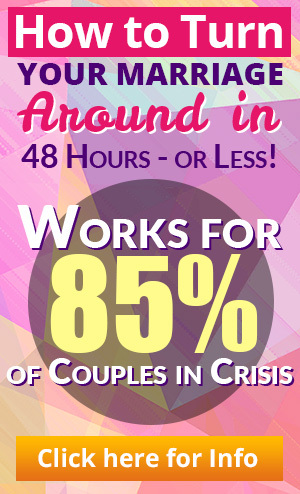 This type of affair often occurs when there is a “lull” in the marriage relationship. The responsibility of raising children, starting and maintaining a career, paying bills, etc. become the focal point for the couple. Romance becomes a foreign word. There are many many subtle differences in affairs. Emotional affairs are only one kind. Once you begin to see and understand the differences, a new sense of empowerment overtakes you embark on a more confident path of resolution. 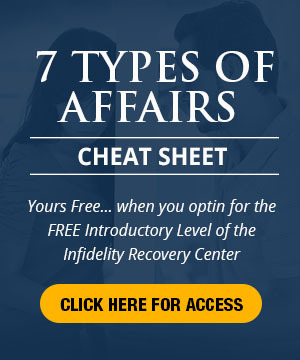 For more information on emotional infidelity, click the banner above.